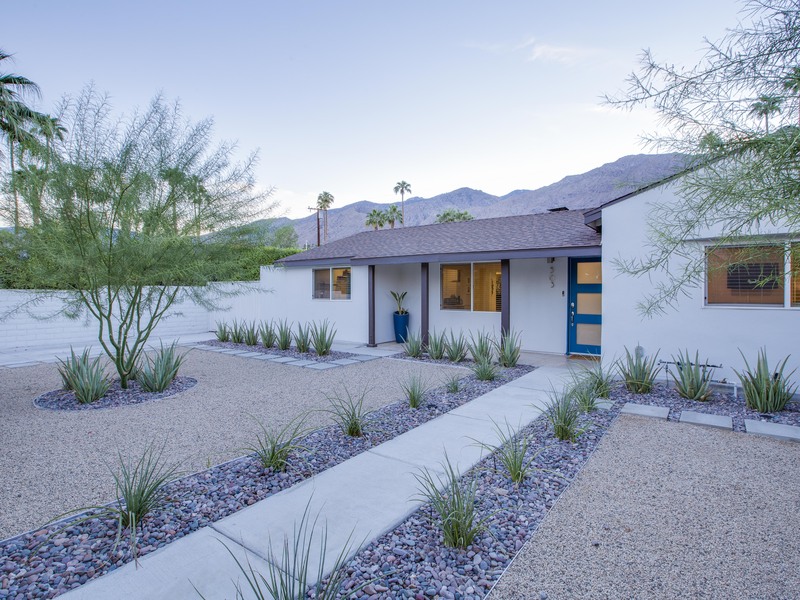 The owners recently bought this 1938 in-town ranch house - and have transformed it into their own Palm Springs Vacation Home where it's all about relaxing in the sunshine. 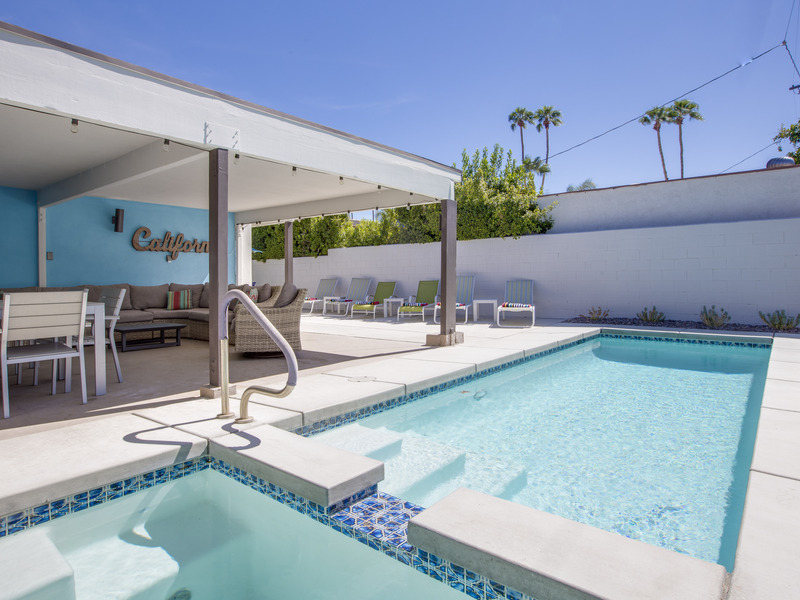 They have modernized it for the way we live today with new kitchen and baths, updated climate control system, high speed internet access, five flat screen televisions, and all new designer art and furnishings that capture that chic Palm Springs vibe. 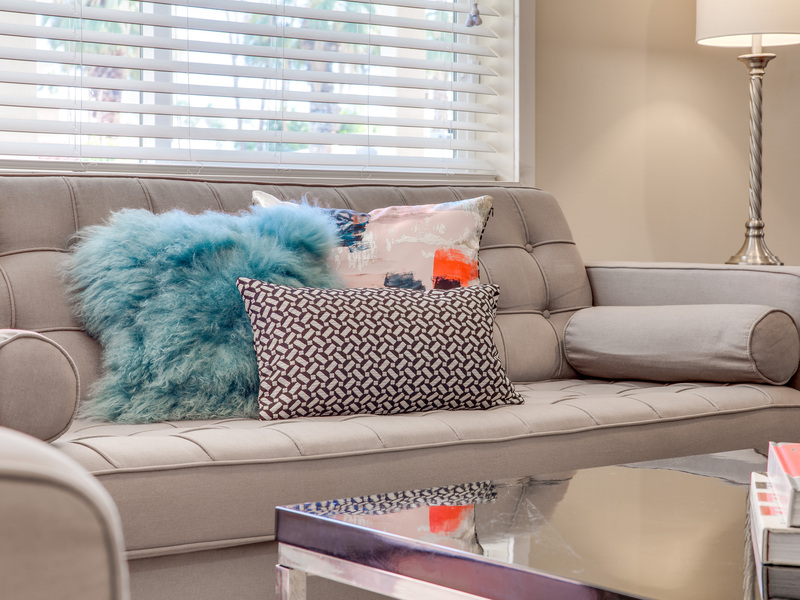 There is a simple understated elegance about this home that creates a very relaxed, comfortable, easy style. 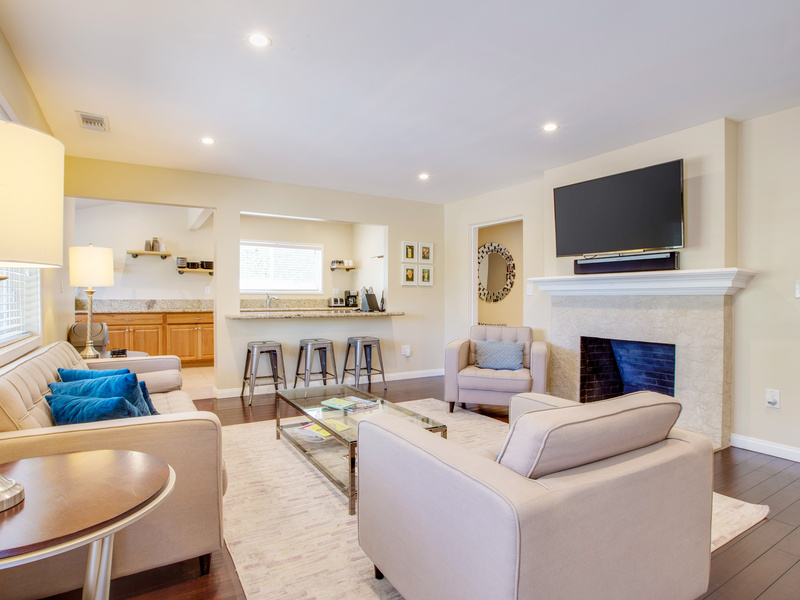 The living room, with its large flat screen television and gas fireplace, is open to the kitchen. 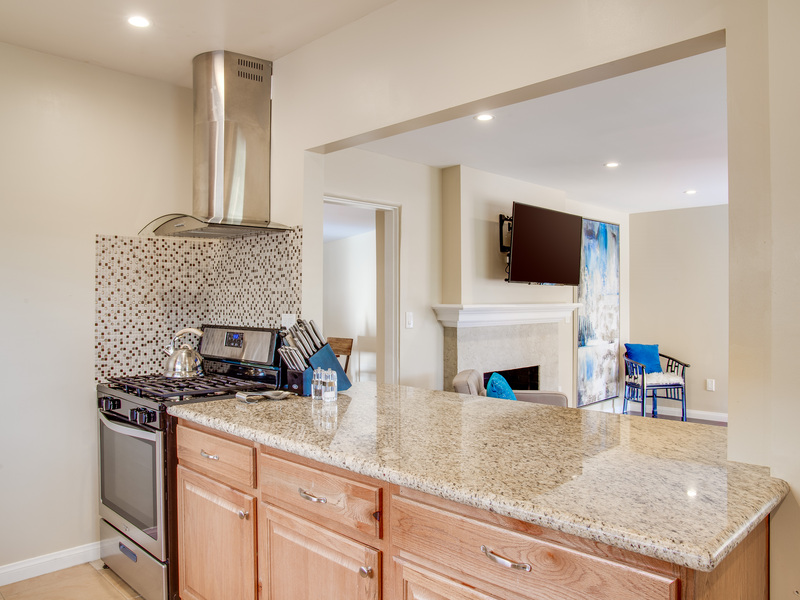 The kitchen has stainless steel appliances, tons of counter space and cabinetry. It has been designed for both individual and group meal prep. 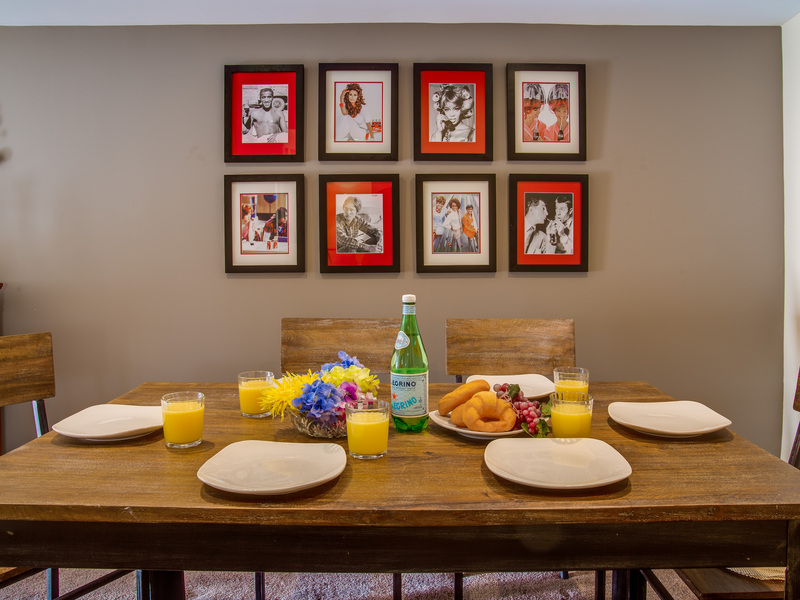 You'll also find a dining room for the rare occasions you'll be eating inside. 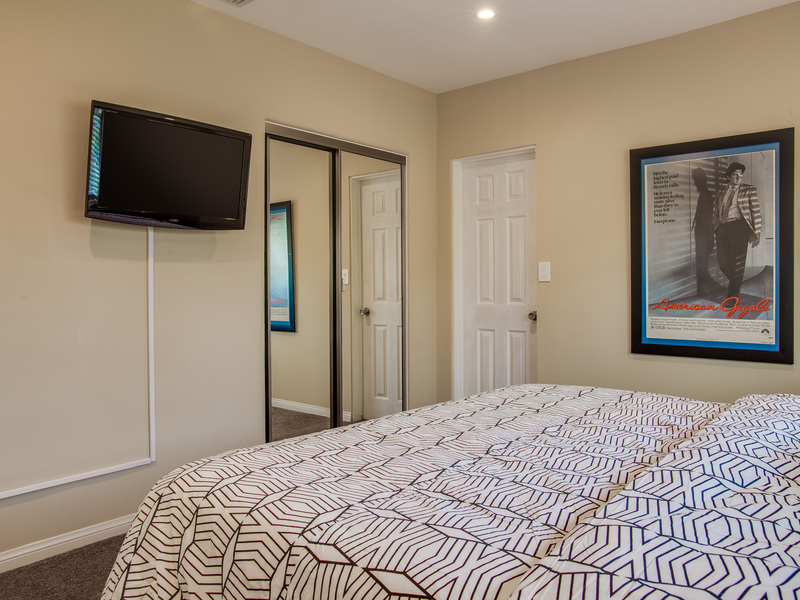 All four of the sleeping quarters have hospitality-quality mattresses, flat screen televisions, and ample storage. 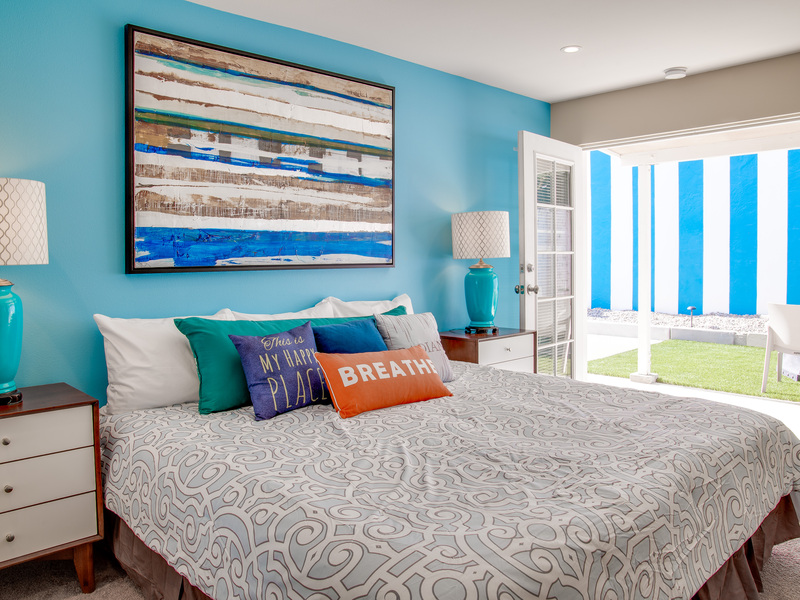 Inside the main home are two King Bedrooms, one Queen Bedroom and 2.5 baths. 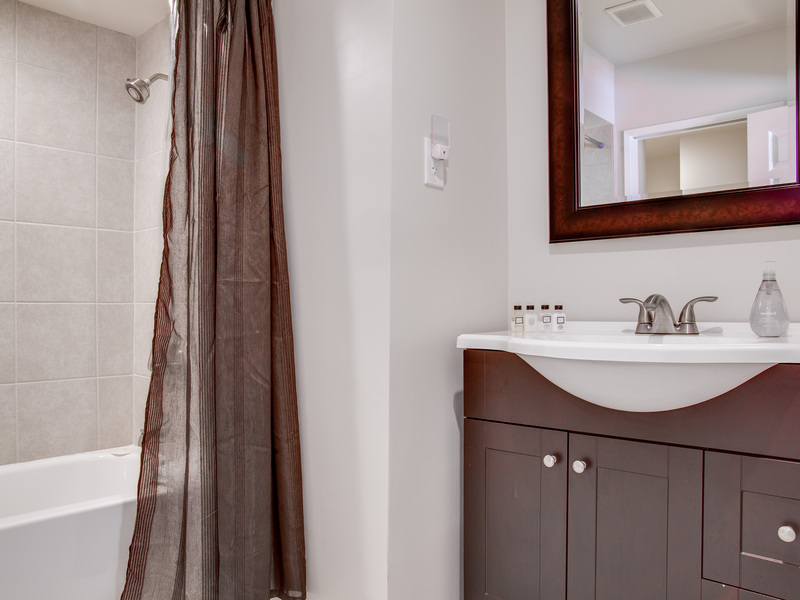 The Master Bedroom has its own ensuite while the King and Queen Guest Rooms share a bath. 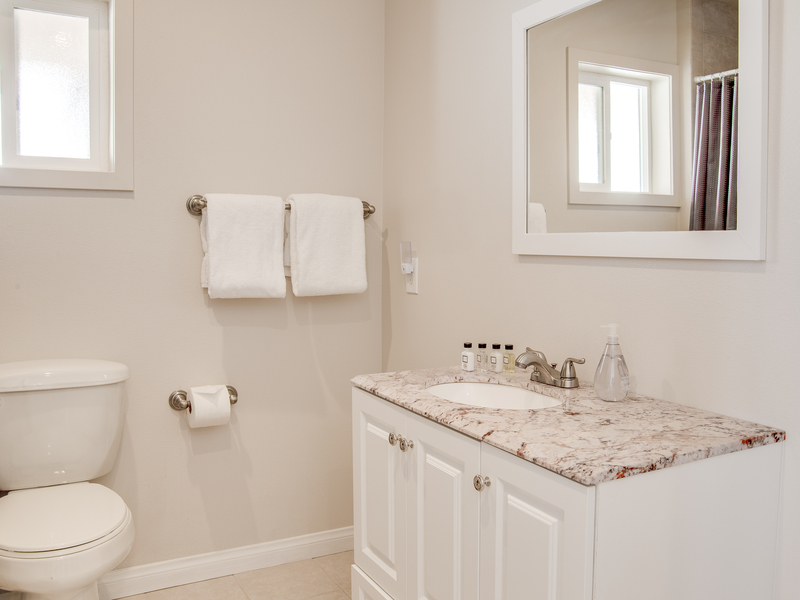 There is also a half bath to service daytime guests. 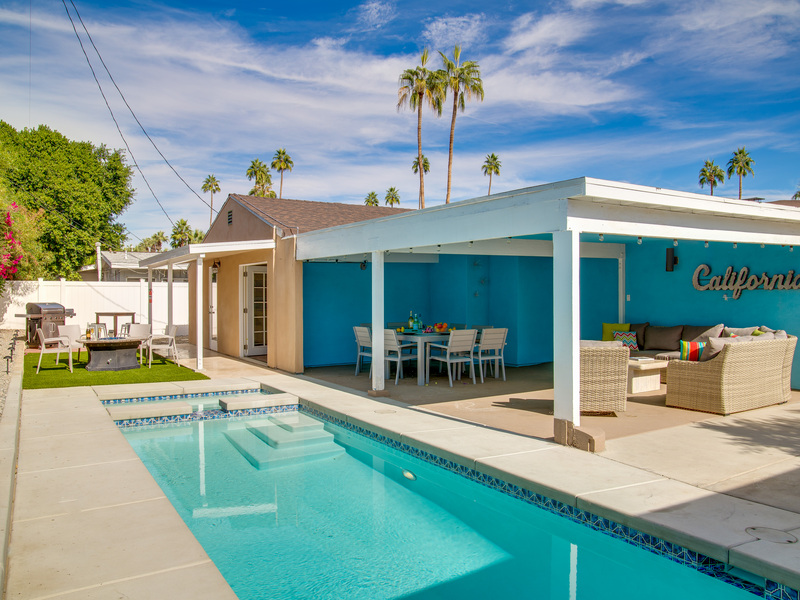 The King Guest Casita is located off the pool near the firepit lounge area - offering a private ensuite bath, flat screen television, a double closet, its own climate control and a service kitchen that is very convenient for poolside entertaining. 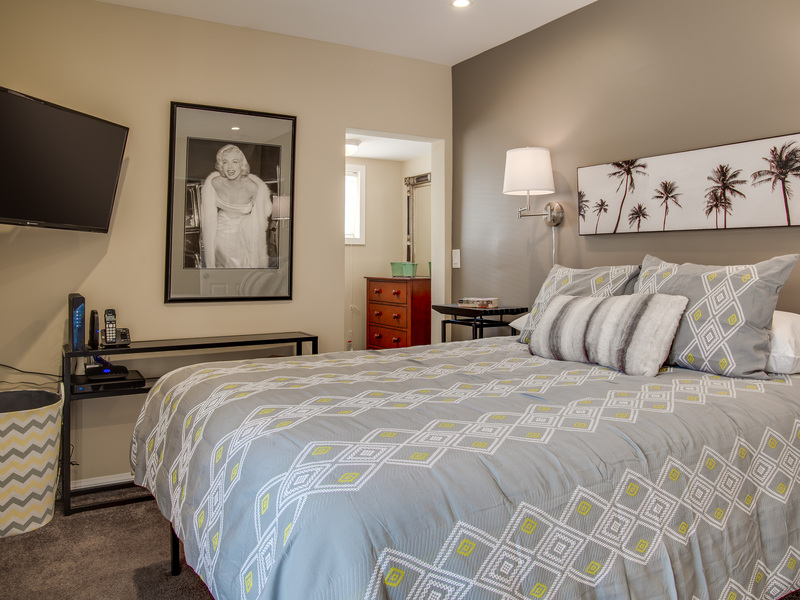 The casita's King bed can be converted to two twin beds upon advanced request. As nice as the interior spaces of this home are - it is the outdoor spaces that are the best part. The entire back yard has been walled for complete privacy. 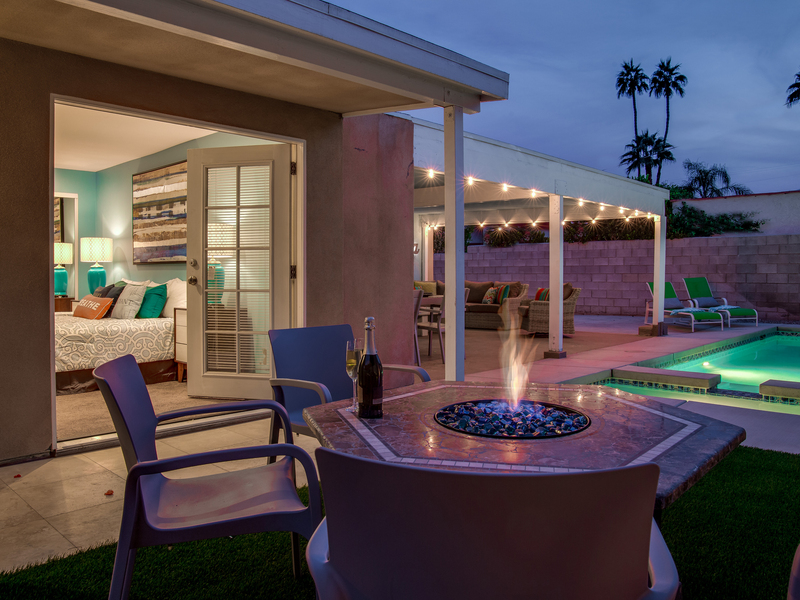 Poolside chaise lounges, an outdoor dining and living pavilion, a fire pit area, and a plumbed gas barbecue so you never have to worry about the tank going empty. 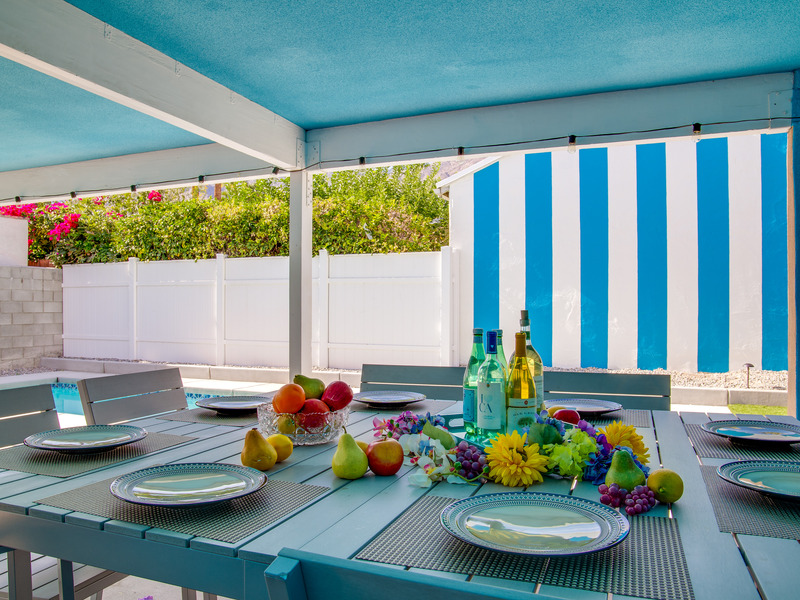 This vacation home is really special - perfect for relaxing in the sun or escaping to the shaded areas. 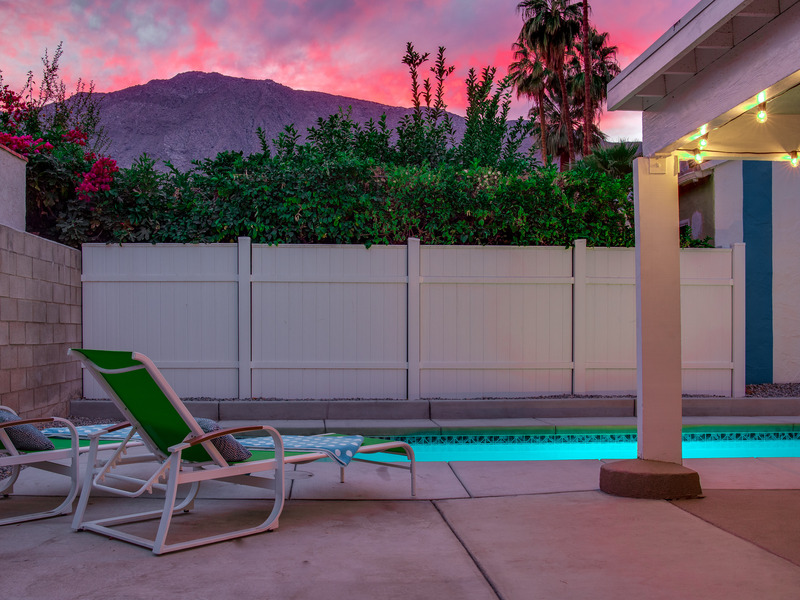 At night, beautiful twinkling lights and the illuminated California sign, compliment the desert's starry skies to give this place a completely magical feel - like your own private Palm Springs resort. 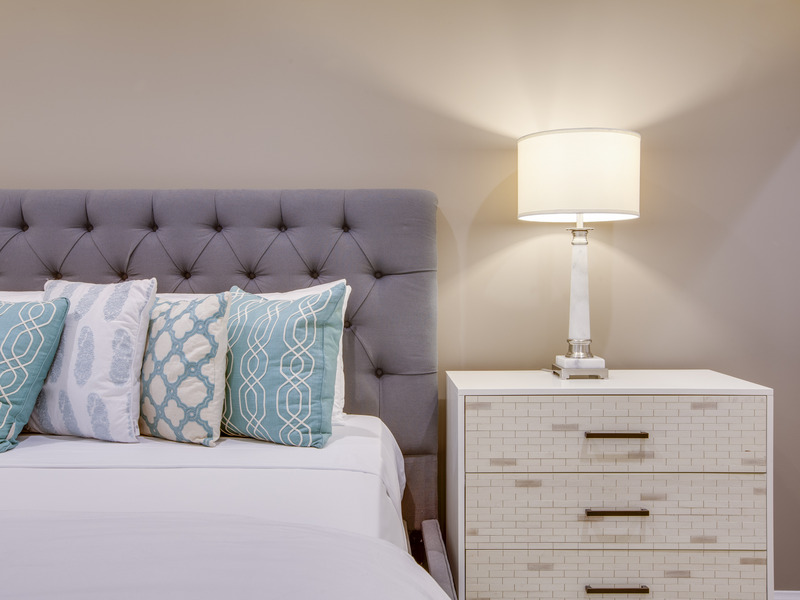 Great in-town location for those who want to be close to everything - but just a little removed from the hustle and bustle. 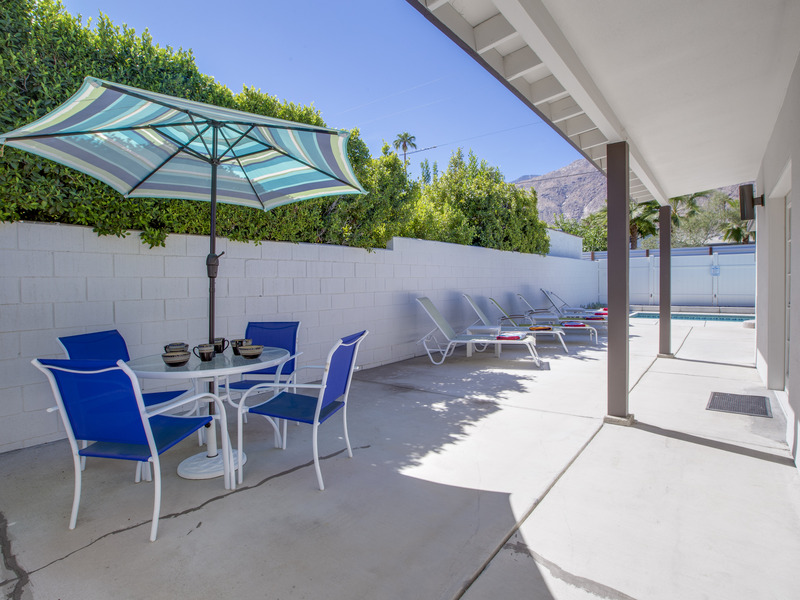 Tucked away on a quiet residential street in the Warm Sands neighborhood, this property is just a half mile stroll from the world famous Palm Canyon Drive as it cuts through Downtown Palm Springs. Driving is completely optional when staying at The High Road.You'll also be just a few blocks from two popular shopping plazas where you'll find Starbucks, Ralph's Grocery Store, and quite a few fast food and casual dining options including a Greek place, Italian, a donut shop, frozen yogurt, a fabulous bakery & gourmet sandwich shop, and a diner. 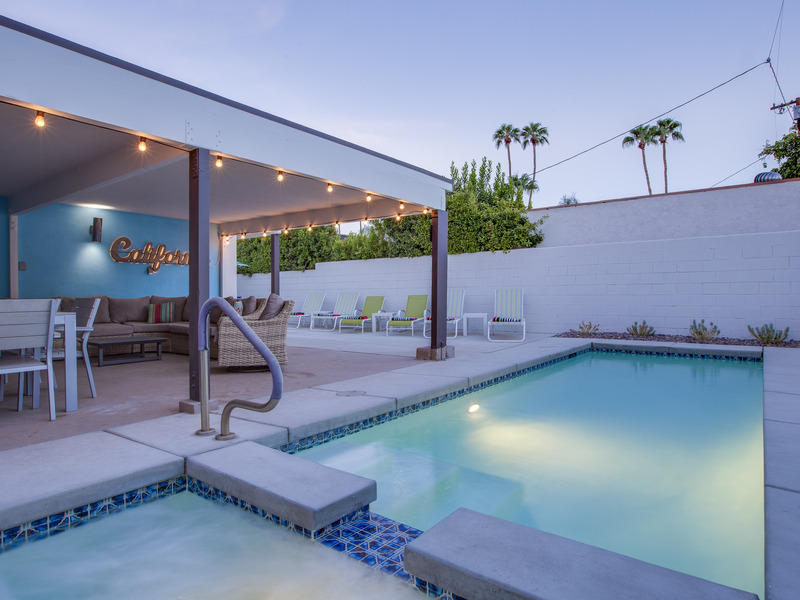 You'll also be in walking distance to the vintage midcentury modern antique shops on Sunny Dunes. Be sure to stop in Townie Bagels - which has become one of Palm Springs most popular breakfast spots. 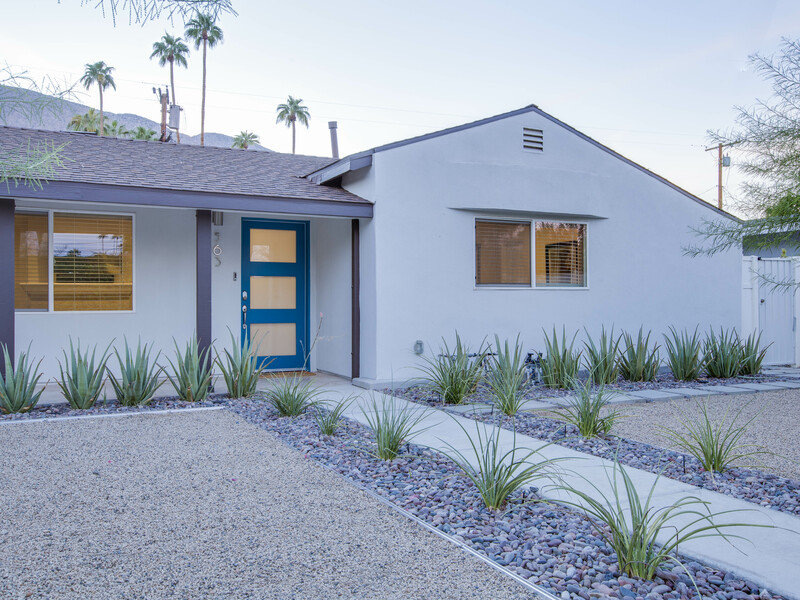 "I was pleasantly pleased with this house. 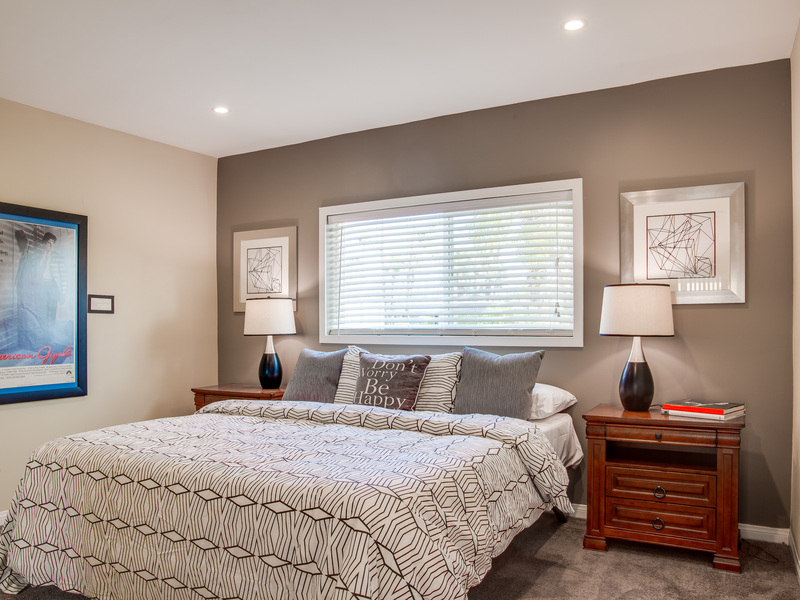 The floor plan is great and all the bedrooms were lovely and very comfortable. 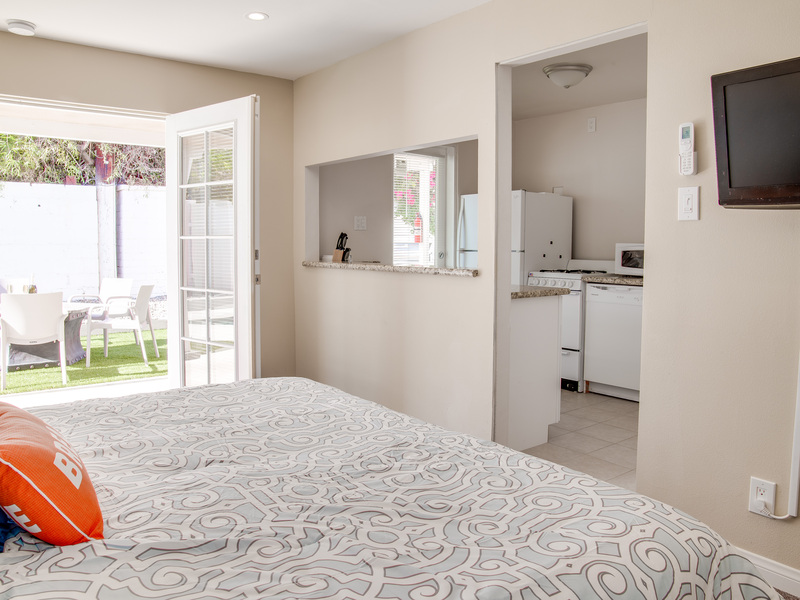 My daughter and her husband loved the Casita room with complete privacy and comfort! 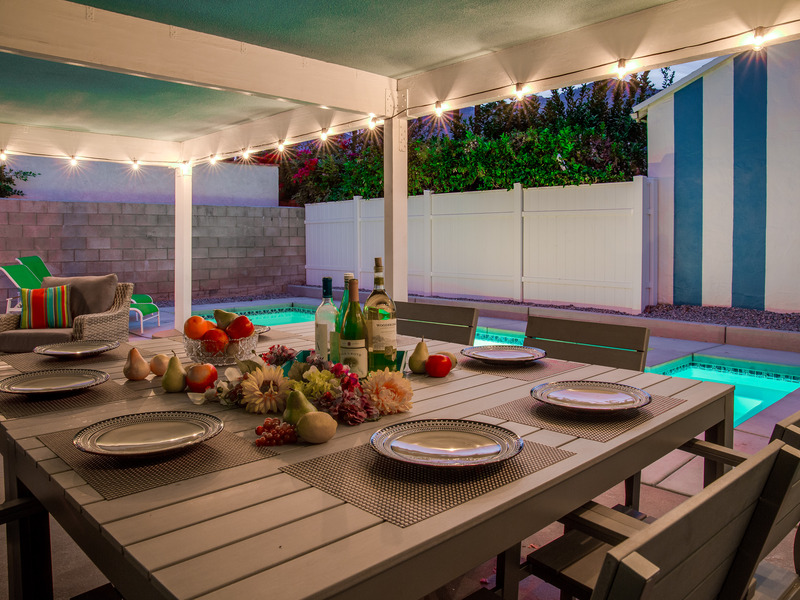 The back yard was amazing with a large patio that included a comfortable outdoor sectional, a large table and chairs for outdoor dining. The pool and spa was great! My grandkids enjoyed making Smores every evening on a beautiful gas fire pit. It was a nice surprise for the kids when they discovered all the pool floaties! Thank you! 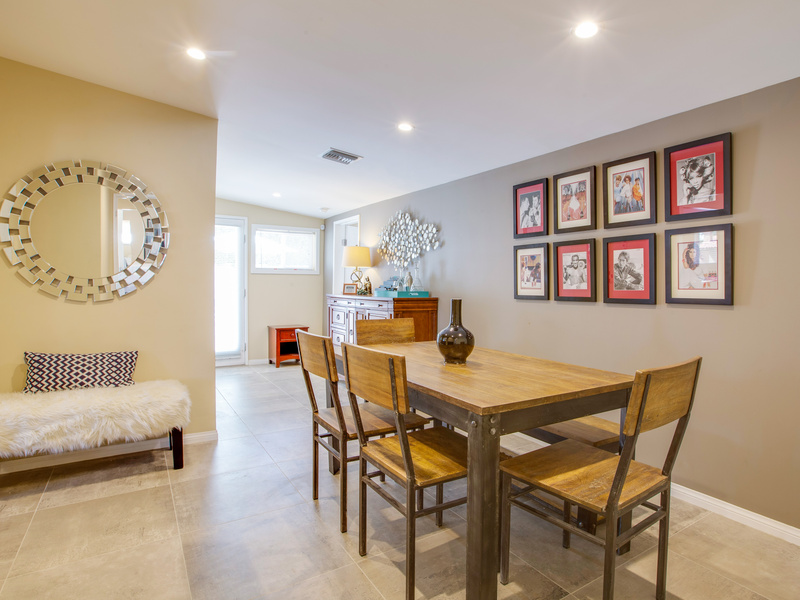 This house provided all the comforts of home which is what I look for when I rent a vacation home for my family. Only one oversight regarding the barbeque gas grill. It was dirty from the previous renters. We had to wipe it down and use foil to cook our burgers and hot dogs that evening we arrived. We were welcomed by Jeremy which was really nice and took us around the house for a tour and explained how things worked. " 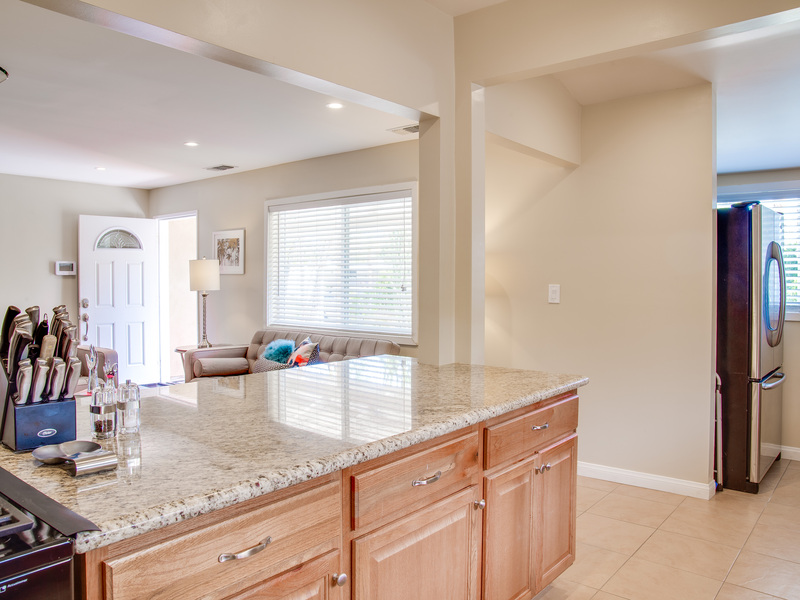 "The unit was clean and well maintained and exactly as depicted in the pictures. I chose an ACME House Co. rental because of the excellent customer reviews. None of the other rental companies reviews come close to the feedback provided by Acme customers. Professionalism and assistance provided by Acme staff was great. Camille helped us to locate an Acme unit that would accommodate our guests that was within 5 min of our venue. She also provided info on things to do in the area. Two thumbs up! " "Good style and comfort. We really liked the location. Very good overall stay." 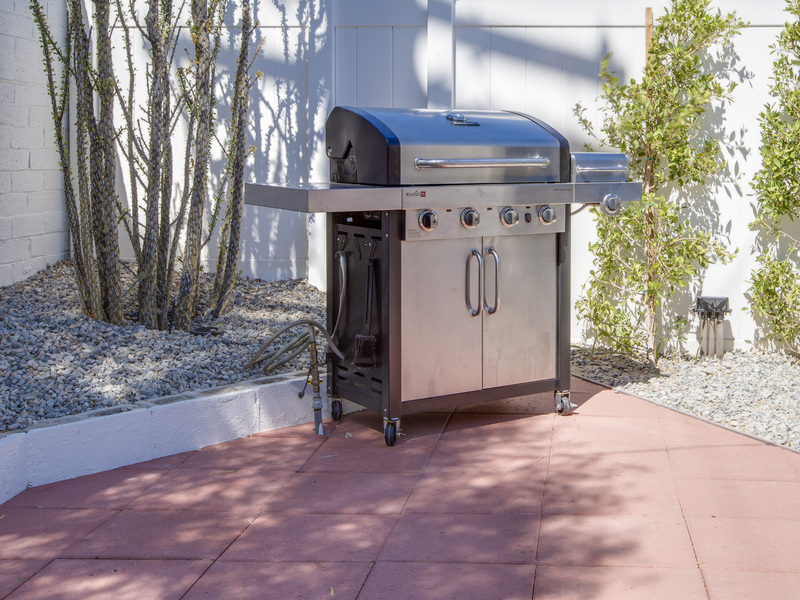 "The best part was the outside space, and the proximity to downtown! 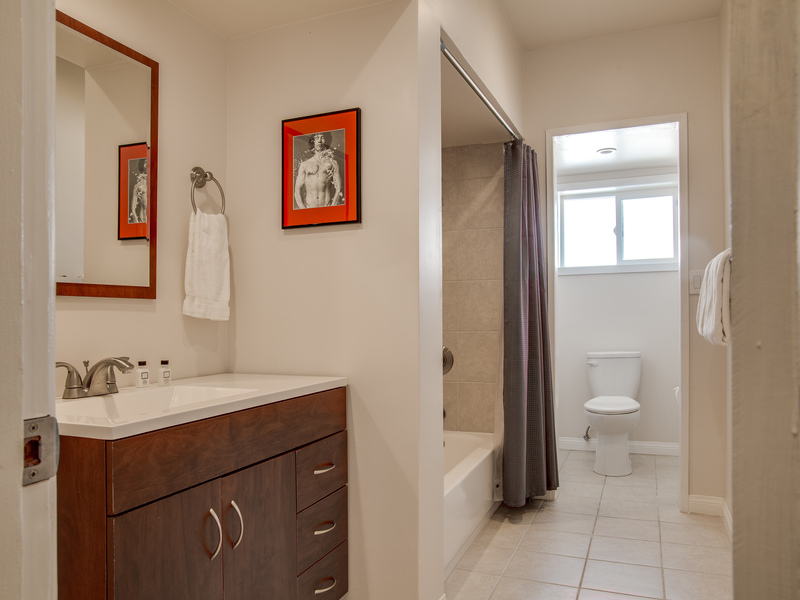 Excellent style, comfort, and cleanliness! " "We really enjoyed our stay. Four comfortable bedrooms, nice covered outdoor living space, gorgeous mountain views and a great location. At first we thought the pool and spa were on the smaller side - but as it turns out - we all had an absolutely terrific time. We already booked it for our return trip. We loved being right in the Warm Sands neighborhood and that we could walk to Townie Bagels every morning. " "So glad we found this place. 4 Good sized bedrooms, fun outdoor space, and a great walk to town location. Very clean, very comfortable and a great value. We got a lot for the money. We have stayed in a lot of vacation homes and feel this was the deal of the century. Thank you Acme House Company. You are really good at what you do." 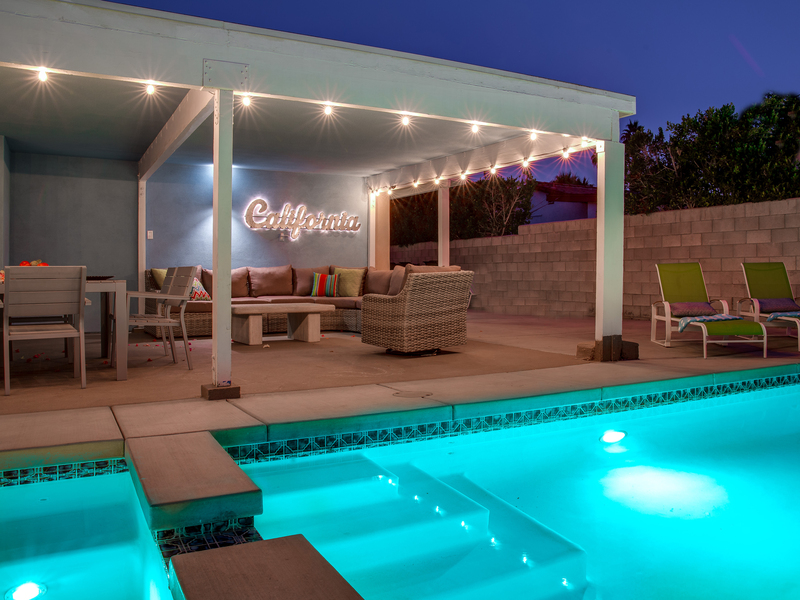 "This place was great for our Boys Weekend in Palm Springs. A bunch of our other friends were staying in one of the Warm Sands Resorts - so it was great for our group to be right around the corner in this super cool private home. The price was right and the house was gorgeous. Not the largest pool but it really worked for us. The covered outdoor living / dining combo was great for hanging out. And we spent a lot of our evening time by the fire feature. " 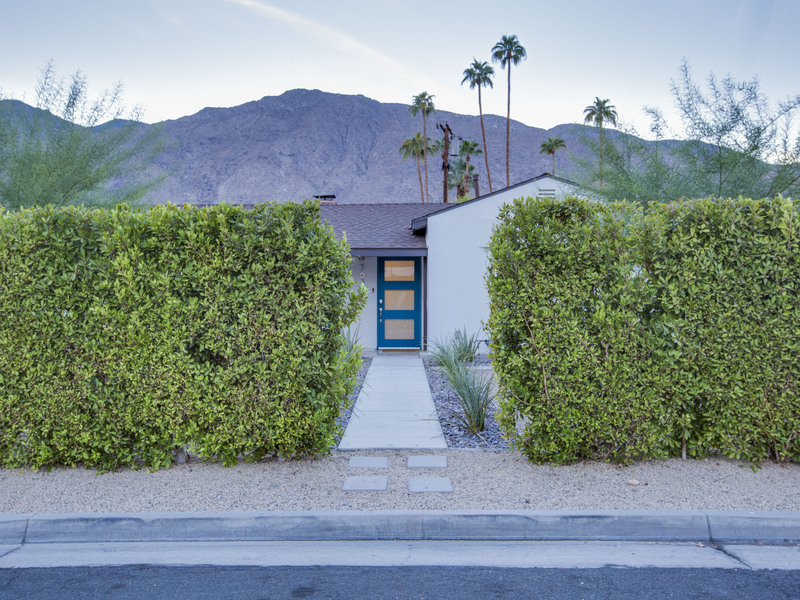 "We live in Palm Springs. Had out of town guests in for the holiday. We put our overflow at The High Road. Everyone who stayed there had a great time. 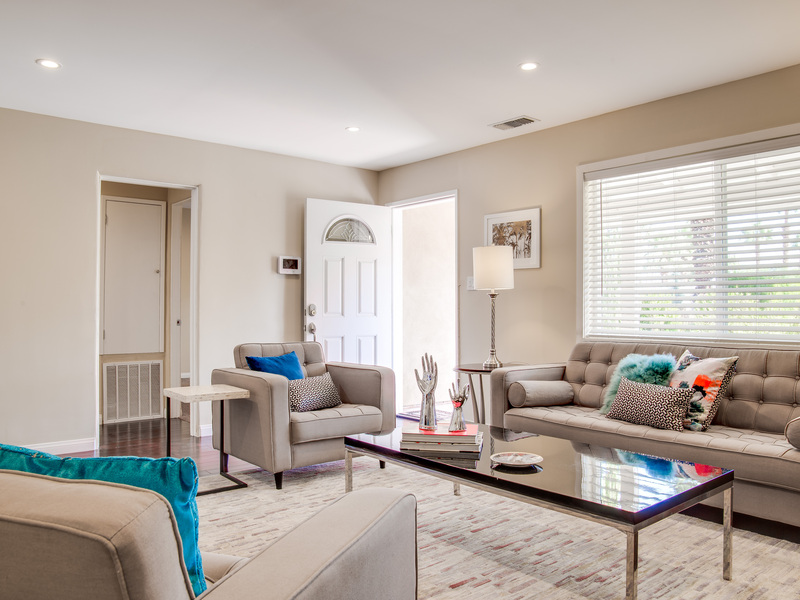 Very clean, well maintained and super comfortable. Everyone agreed the back yard covered pavilion was over the top fun. Everyone is talking about the glowing California sign. Thanks Acme for showing the family a good time."